St. Kateri Tekakwitha once said, “I am not my own; I have given myself to Jesus. He must be my only love. The state of helpless poverty that may befall me if I do not marry does not frighten me.” She made a vow not to marry despite having lost her family to smallpox, herself having suffered ailments of the disease. She was and is a saint, the first Native American canonized. 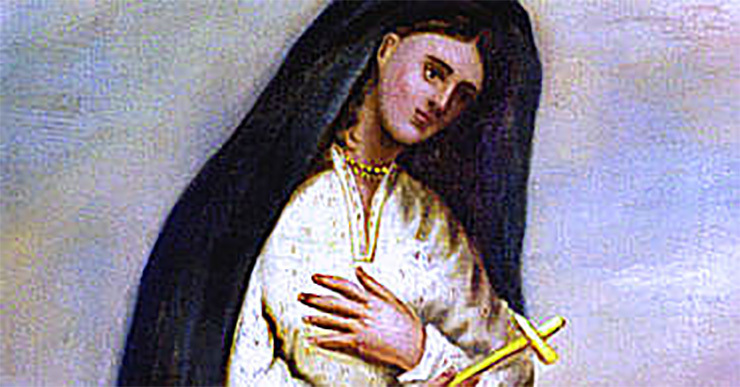 Her selfless attitude and abandonment to divine love is an example for all, particularly for Catholics who may experience their own unique anxieties as they discern their vocation. She was baptized on Easter Sunday, 1676, at the age of 19.